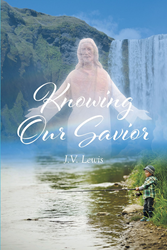 “Knowing Our Savior” from Christian Faith Publishing author J.V. Lewis asks the Faithful the ultimate questions. By confronting pivotal questions about the faith of Christians and their willingness to die for Christ, author J.V. Lewis explores the faith of Christians everywhere. “Knowing Our Savior,” a discussion that tests the faith of all Christians by asking the most fundamental questions. “Knowing Our Savior” is the creation of published author, J.V. Lewis. J.V. Lewis grew up as a farm boy until he was fourteen when his parents bought a “Help Your Self Laundry” business in Carbon, Texas. While in Carbon, he started school in the eighth grade and graduated from High School in 1957. Upon graduation, he joined the work force and retired as a Journeyman Carpenter in 2000. J.V. met Nada Beard, who would later become his wife of fifty-seven years, at the Radio Church of God Feast of Tabernacles near Big Sandy, Texas in 1954. They were married at the same location during the Feast of Tabernacles in 1959 after many letters were mailed back and forth between Carbon, Texas and Eudora, Arkansas. They have three happily married children, nine grandchildren, and seven great-grandchildren. Published by Christian Faith Publishing, J.V. Lewis’ new book asks the questions that test the faith of all Christians. “Christian” was once a derogatory term in the eyes of those who were not the followers of Christ. Because the true followers of Christ did not object to being called “Christians,” the name stuck. In many places and times, however, being identified as a Christian meant a death sentence. The ultimate question for Christians is, therefore, whether or not the faithful trust Jesus enough to suffer through torture and death for their beliefs. The better the faithful know Christ, the better they can love and trust Him as they must. View a synopsis of “Knowing Our Savior” on YouTube. Consumers can purchase “Knowing Our Savior” at traditional brick & mortar bookstores, or online at Amazon.com, Apple iTunes store, Kobo or Barnes and Noble. For additional information or inquiries about “Knowing Our Savior”, contact the Christian Faith Publishing media department at 866-554-0919.